I wrote this post a couple of weeks ago, planning on it to go out on the 28th of November, but for a bundle of reasons I delayed it. As the title gives away, this is dedicated to my Granddad, and was going to go out on his birthday; however he had been very ill for a long while, and took quite a downwards turn on his birthday saying he wanted to hold off opening his cards and other birthday activities. It didn’t feel right then publishing this, however its all try, and I feel it needs saying..
Today is my Granddad’s birthday. 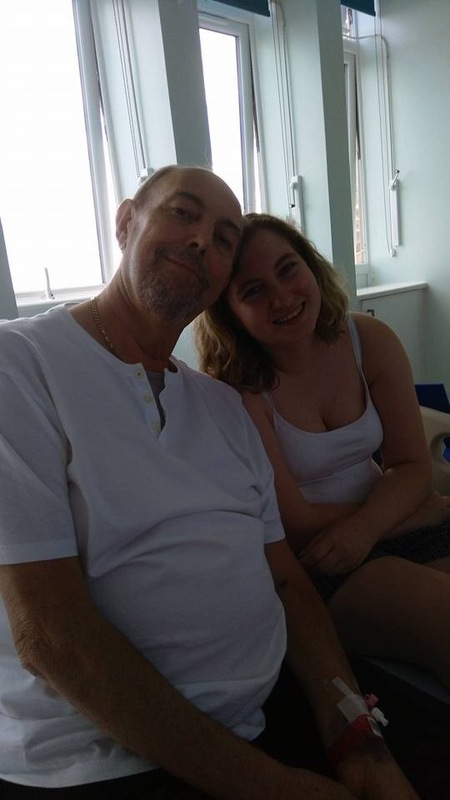 I wouldn’t normally write a blog post on this but lately there has been a lot going on and its made me realise just how much I have to thank my granddad for, just how often I rely on him being there. Although there are many people in my life that are there for me, right now I just want to take the time to talk about my granddad for a bit. My Granddad is an amazingly respected man, so calm and sensible, everyone always seems to get along with him and like being in his presence. So unlikely many people I know he can handle anything- good, bad and ugly- and he’ll always do it with a smile on his face, and helping others through it at the same time. For as long as I remember he is my go to person when I don’t know how to react to something; argument with parents, trouble at school, or mental health playing up- I would just drop him a call, never once has he failed to get me to see sense. I’ve often been told that as a baby he would always be able to sooth me, stop me crying and to settle down, and that most definitely hasn’t changed; still he can talk me out of my angriest and most upset moments. But there is more to my Granddad, he’s so cheerful and funny in the weirdest ways. As far as I’m aware he cant speak a word of a language that’s not English, yet he can do every accent you can imagine. While learning French at school I was always told that I spoke everything in an English accent, so I went to him to learn. It didn’t matter what ridiculous thing he’d be saying but he’d spin to make it sound French- he could fool so many people with this. To both him and my Nanny I have to thank for a lot of the aspects of my life that define who I am. When I think of who I am, two major things that stand out are my love for the monarchy and their history, as well as my passion for horse-riding. Until my Granddad started getting too ill to do full day trips, we’d regularly travel to all the various royal palaces across the country. I cant say I remember what one started the whole venture, but in the end we managed all the royal palaces in England; and just before he had to stop driving we were planning to start those in Scotland. He’d always drive and wait in line for the tickets and then wander round the buildings and the grounds all day, waiting for me to read all the plaques of information. As for horse-riding with out those two standing out on cold Sunday mornings watching me ride round in a big circle constantly, I never would have learned. Then when I got the opportunity to work with my Scarlet, they paid for everything, took me down every week; and to begin with when I wasn’t strong enough to handle her on my own, Granddad would help out! I have so many memories of my weekends at the yard with my Grandparents that are a huge part of my childhood. Even more recently since he’s been ill we still seem to manage having the biggest laughs, watching day time TV, quiz shows and falling asleep on the sofas. If there’s one thing that him being ill these last few years has taught me, is that not being able to do what you used to doesn’t change a person- you just find other weird and wonderful ways to have silly fun. One of our more recent things is our love of minions. We’ve watched every film together, and both have possibly too much merchandise- I even brought him a Build-the-Bear Bob (his favourite) while he was in hospital. It now eve has its own banana and Timmy bear! Since I wrote this post, my Granddad passed away on the 30th of November. It wasn’t unexpected, as I mentioned in further up, he has been ill for a very long time now- and we were even told that it was a matter of days early in the month. But once again he held on and surprised everyone, staying almost two weeks longer than any of us could have hoped for. Knowing it was going to happen, hasn’t made it any easier. As I’ve said, I relied on him for a lot of basic things that only he was able to do, and helping me through this would of been one of those things.